This past Sunday, I had the opportunity to take Layne's senior pictures here in Athens, Ga. When I asked Layne where she wanted to take them, she said a field and I knew exactly where to go. 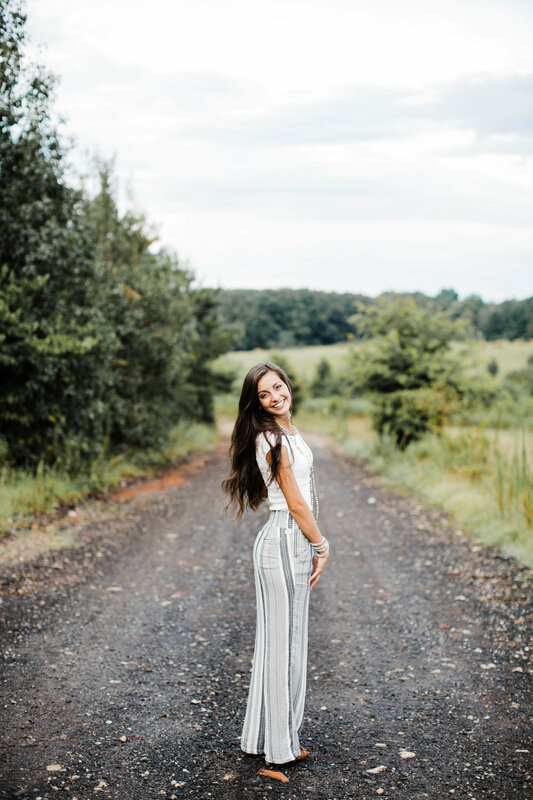 It is the same field I took her sister and brother in law's anniversary photos (Robby + Madison) Nearby were some railroad tracks which definitely added some fun contrast to her light and flowy outfits! It was the perfect combination.